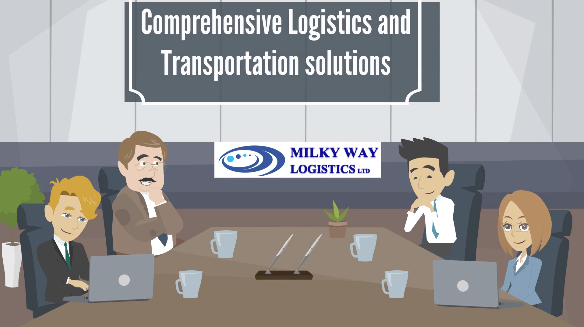 Besides all, Milky Way logistics with its qualified professionals engineers the distribution network studying the nodes and designing the logistics solution, focuses on business logistics and cares for the logistics services provided to customers. There is also specialism in the procurement logistics. This includes the production points where the manufacturing and assembling is done, the storages, the distributions centres, transit points, stores and consumption points. There might also be intermediaries involved in the process who are agents and brokers. At Milky Way Logistics Limited, we do believe in “having the right item in the right quantity at the right time at the right place for the right price in the right condition to the right customer,” incorporating all industry sectors and managing the project life cycle and supply chains and logistics efficiency. Milky Way Logistics has both an internal focus on inbound logistics and an external focus on outbound logistics covering the flow and storage of materials from the point of origin to the point of consumption. The logistics of physical items involving the integration of information flow and handling of material from production to packaging, transportation, storage, and secured delivery. The complexity of logistics could be modeled, analyzed, visualized, and optimized to meet customers requirements. The minimization of the use of resources which is a common motivation for import and export is also aimed by Milky Way logistics. This consists of activities such as market studies and professional research through the market in order to plan the requirements for decision making and supply chain management. The targets in procurement logistics is maximising efficiency by concentrating on core competences, outsourcing while maintaining the autonomy of the company and minimizing procurement costs while maximising security within the supply process.